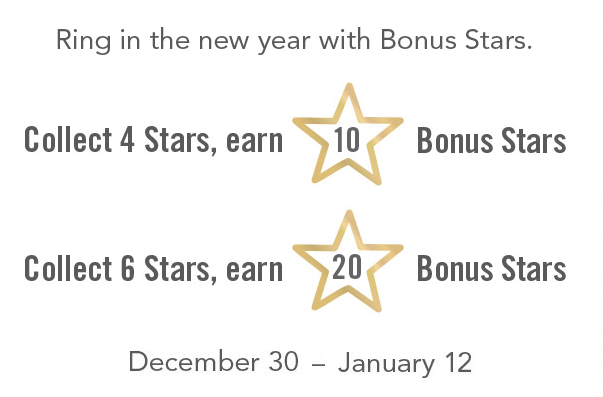 Points.com has sent out a targeted offer for people who may have bought or gifted miles in 2013 for a 100% bonus on purchased or gifted miles now through January 31, 2014. I did receive a Tweet from someone who said that even though they shared miles last year they had not received notice of this promotion. If you think you should qualify, try visiting the US Airways Buy Miles Page and logging into your account. The offer may show up there after logging in. Note: As of writing this, the only email notification I have received for this has come from Points.com. A reader called Dividend Miles who said the target is definitely from Points.Com. 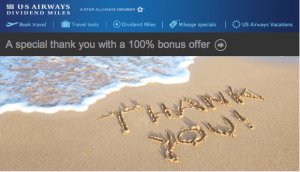 A special thank you with 100% bonus miles. We wanted to help boost your Dividend Miles balance for 2014, by giving you a special thank you offer. Now, through January 31, 2014, Dividend Miles members who bought or gifted miles in 2013 will receive a 100% bonus on future buy and gift transactions. This means if you buy 40,000 miles, you will get 80,000 miles. 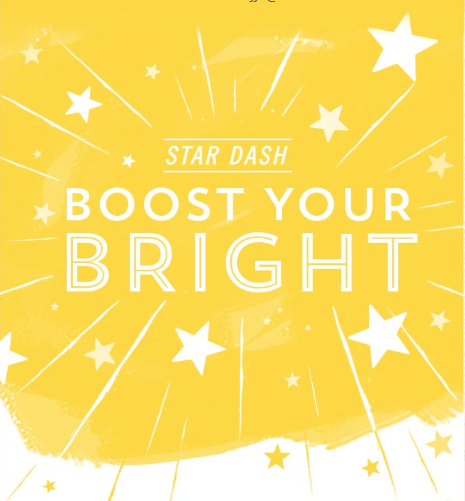 Or gift the miles and help family or friends travel sooner! This great news considering the consolidation of the airlines is in full swing at this point with reciprocal earning and redeeming allowed on both airlines (although somewhat restricted to certain routes). If you choose to redeem these miles you can redeem for Star Alliance Awards up until March 31st, and for OneWorld Awards after March 31st. US Airways miles normally sell for 3.75 cents per mile (with a 7.5% tax) and with this promotion, the cost comes down to half of that, or 1.88 cents per mile. If you were to buy 50,000 your total cost for miles, including taxes and fees would be $1881.25. This may sound like a large amount of money, however, considering you can redeem them for an award travel ticket valued at over $8000 in some cases, it could really be a sweet deal for you. If you did not want to purchase the entire 50,000 miles (100K with bonus), you could still use this opportunity to top up your account for that award trip you have been wanting to take with a smaller purchase. If you are planning any upcoming award travel, this is a great way to top off your account! These offers are always so tempting for me because I know the value of redemption and have enjoyed many stellar award routings and itineraries as a result of these promotions. To add more to the 50,000 miles through this promo, you can also apply for the US Airways Premier World MasterCard® which gives you 30,000 miles after the first purchase. Remember, too, that you get 5,000 miles off US Airways awards if you have the US Airways MasterCard®. What about you? Do you think you will take advantage of this target offer? Remember….the deadline is January 31st! 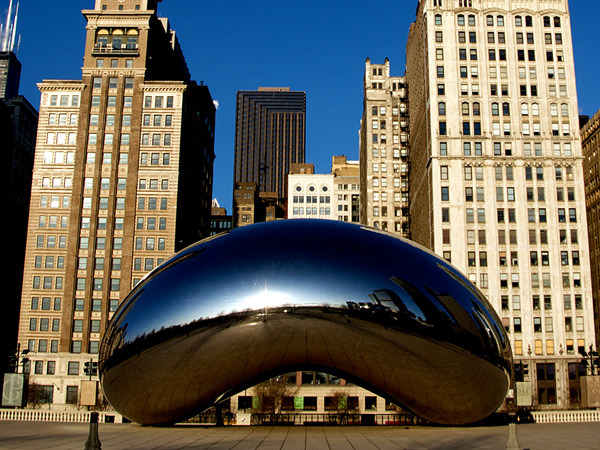 Be the first to comment on "US Airways Special Buy or Gift Miles – Targeted from Points.com"